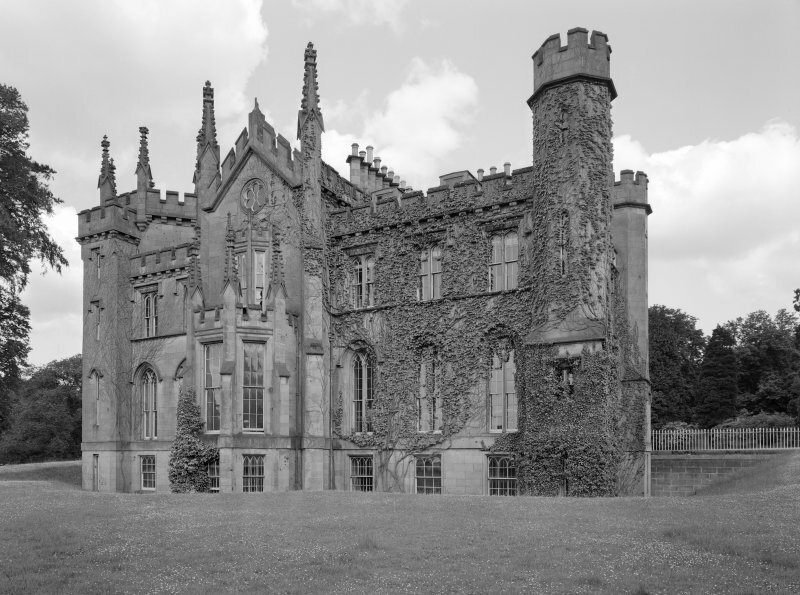 South front from south east. 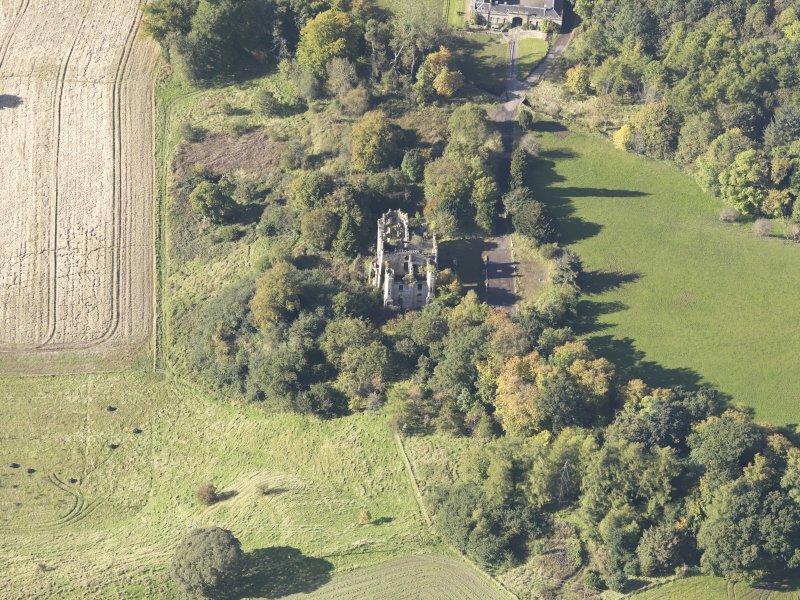 View of Cambusnethan Priory from SE. 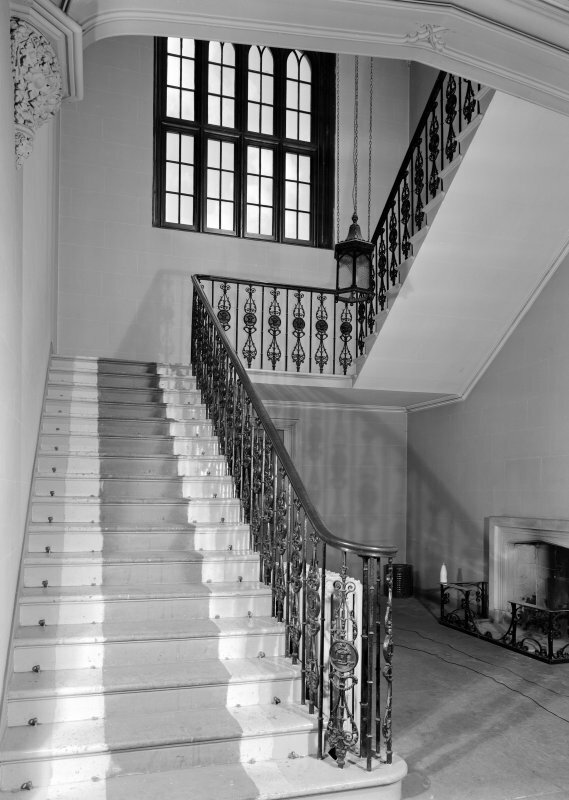 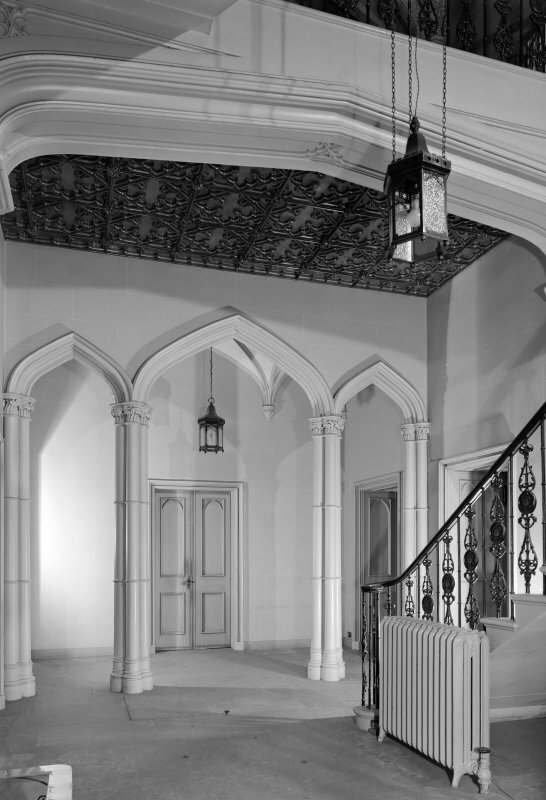 Interior view of Cambusnethan Priory showing view of staircase. 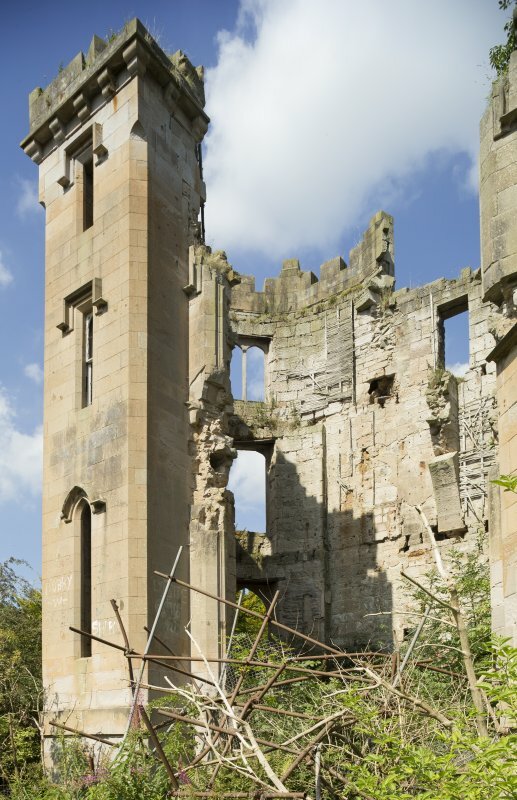 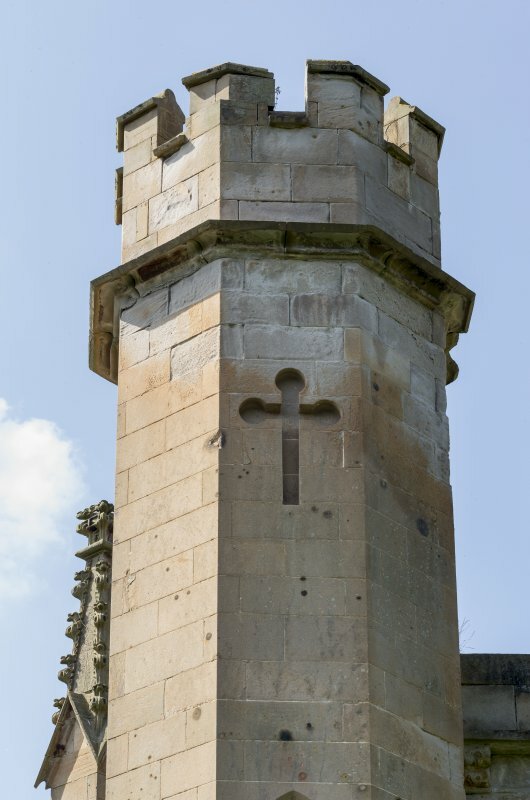 South front, east corner tower. 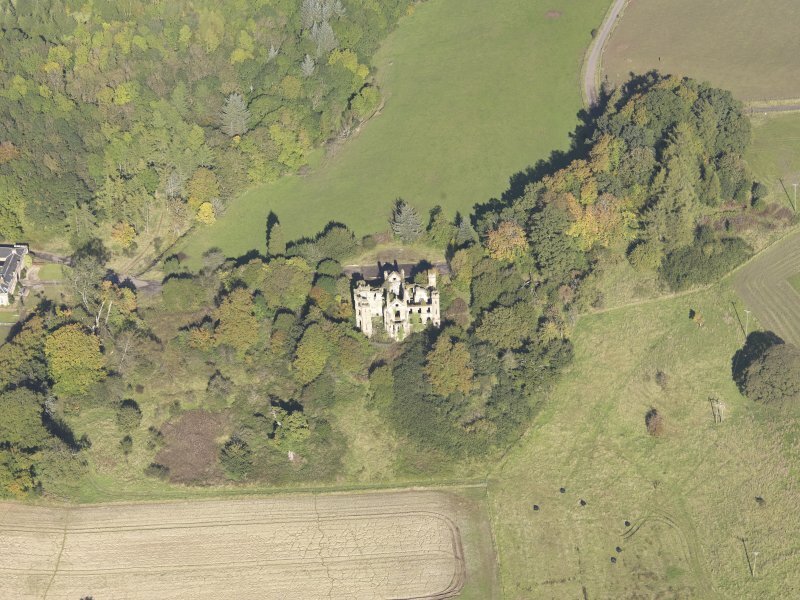 Oblique aerial view of Cambusnethan House, taken from the S.
Amendment of Warrant. 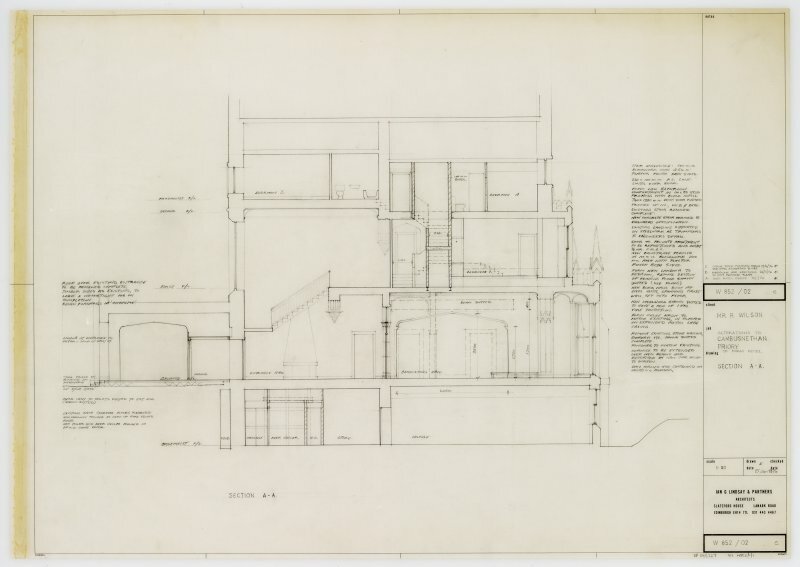 First Floor, Second Floor and Location Plan. 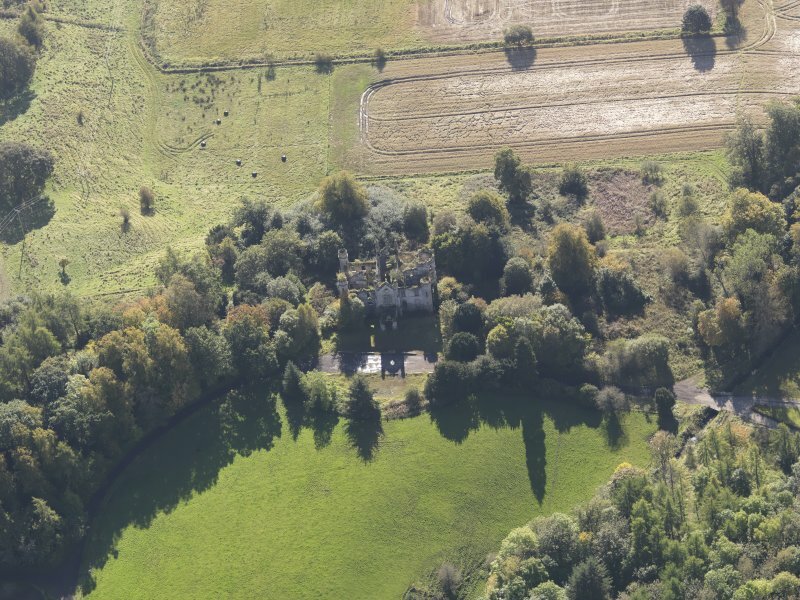 Oblique aerial view of Cambusnethan House, taken from the SSW. 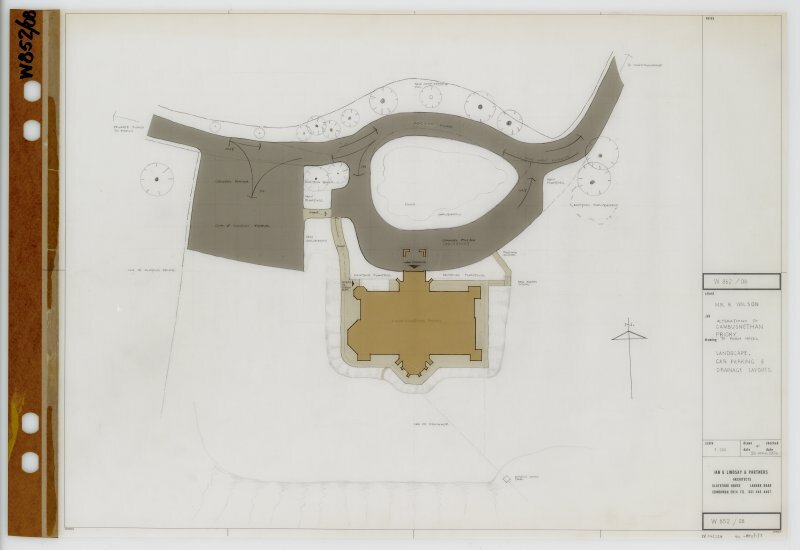 Landscape, Car Parking and Drainage. 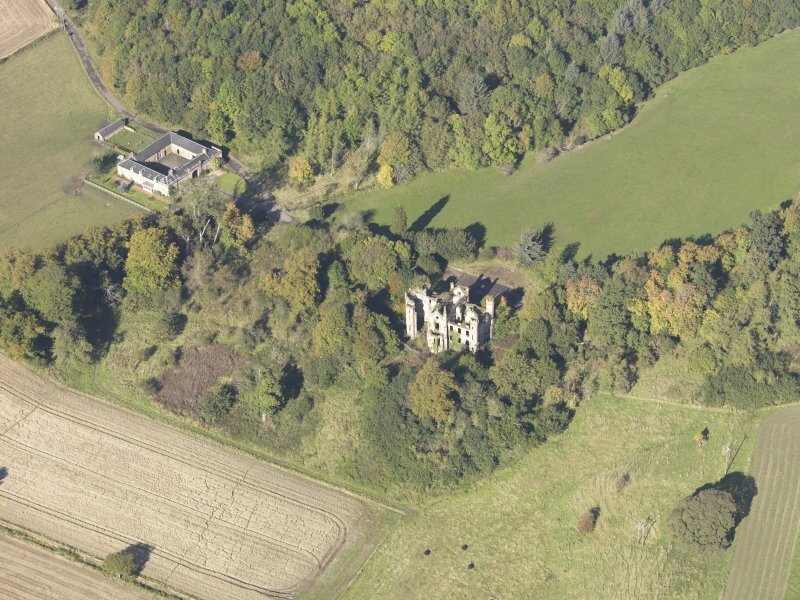 Oblique aerial view of Cambusnethan House, taken from the E.
Oblique aerial view of Cambusnethan House, taken from the SE. 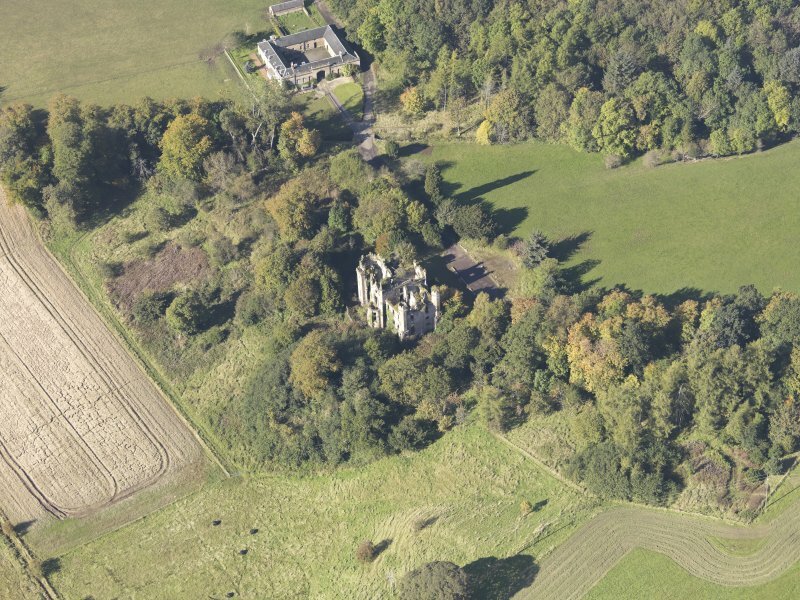 Oblique aerial view of Cambusnethan House, taken from the N.
Oblique aerial view of Cambusnethan House, taken from the NE. 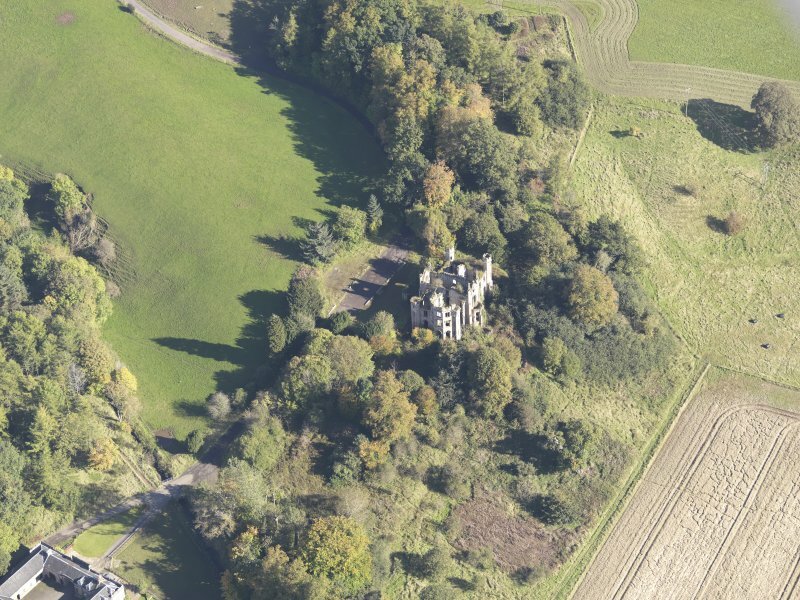 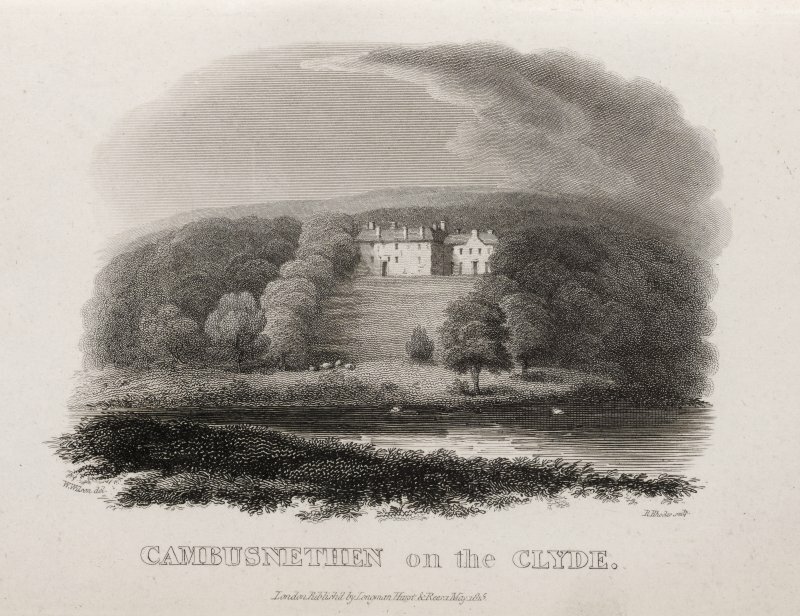 Oblique aerial view of Cambusnethan House, taken from the ENE. 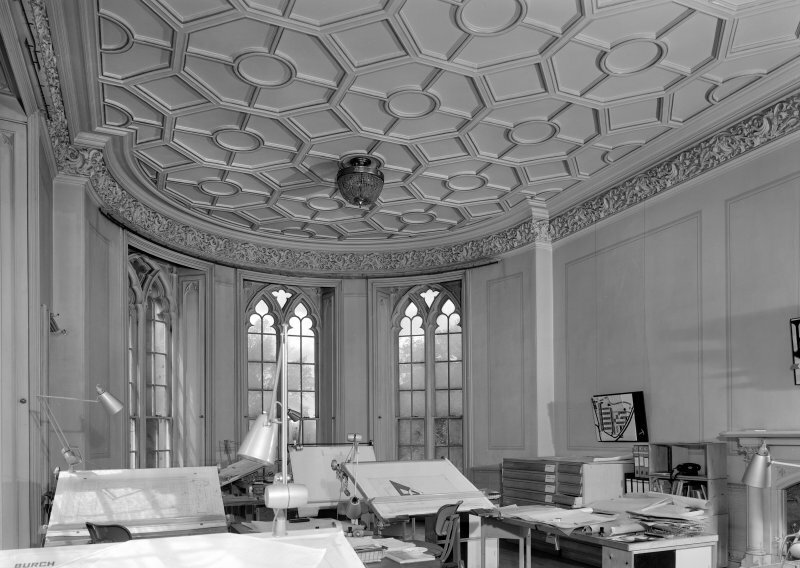 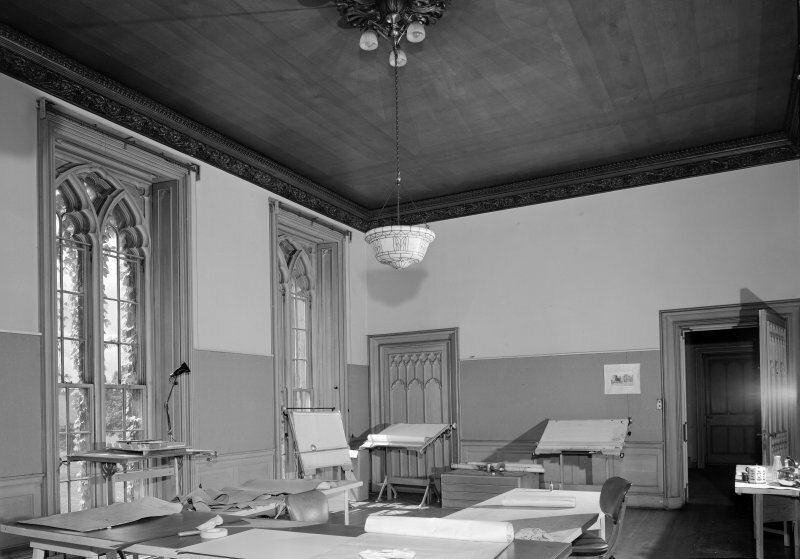 Interior view of Cambusnethan Priory showing drawing room. 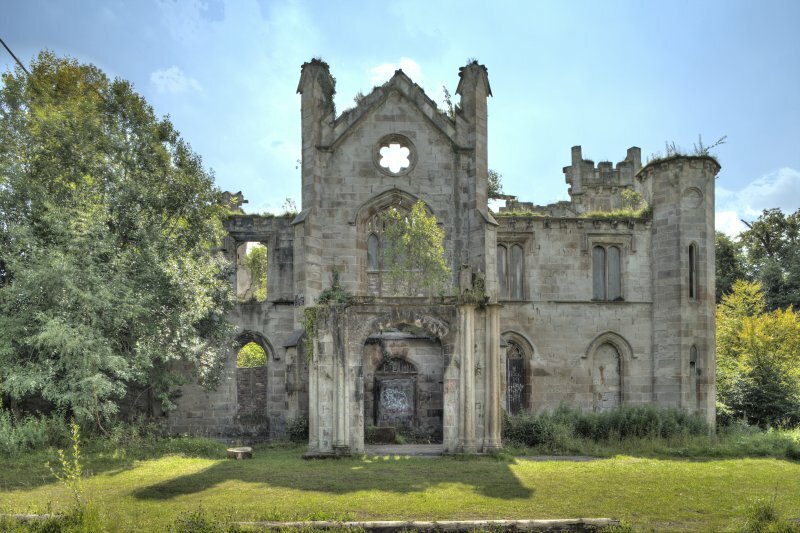 Interior view of Cambusnethan Priory showing dining room. 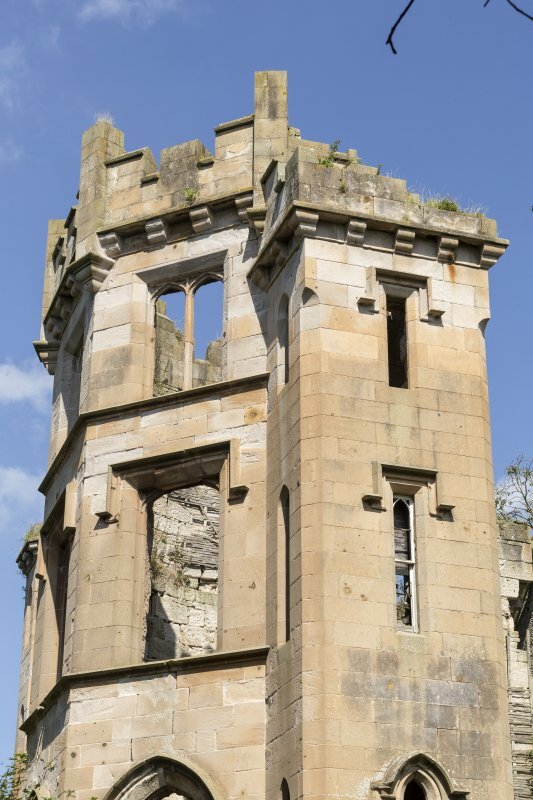 South front, west corner tower. 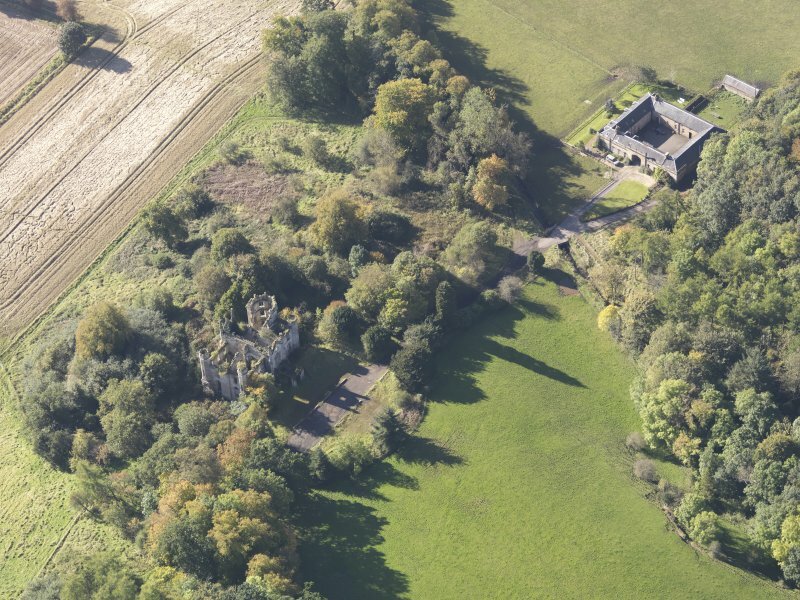 Oblique aerial view of Cambusnethan House, taken from the W.
Interior view of Cambusnethan Priory showing main hall. 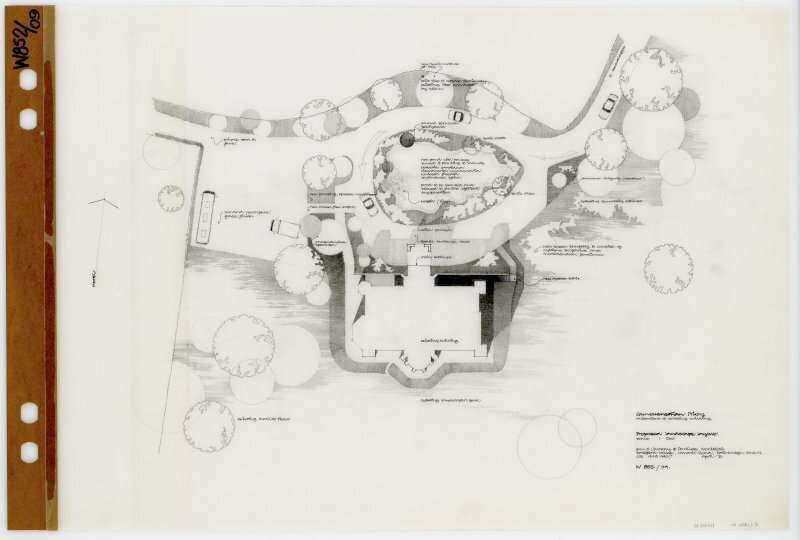 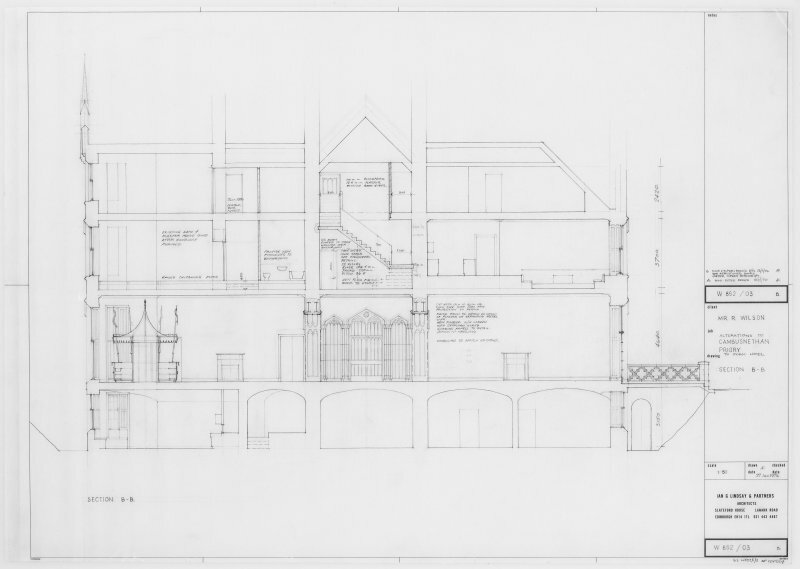 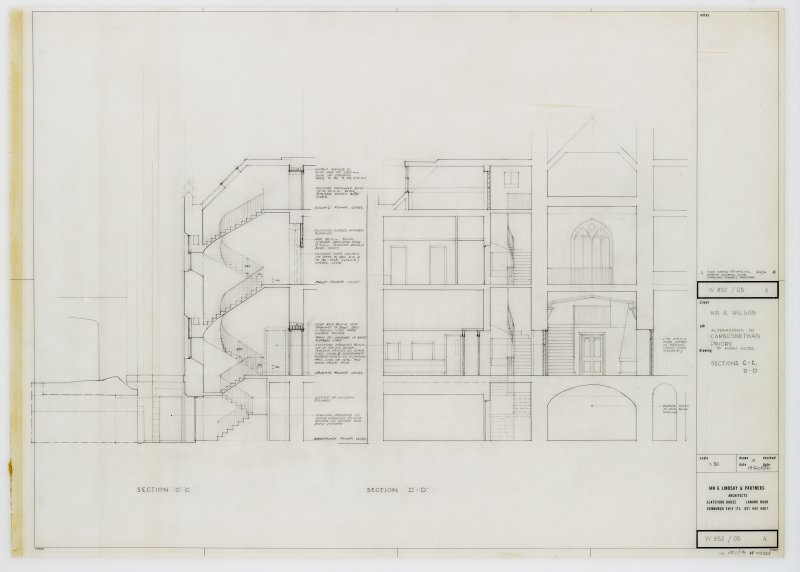 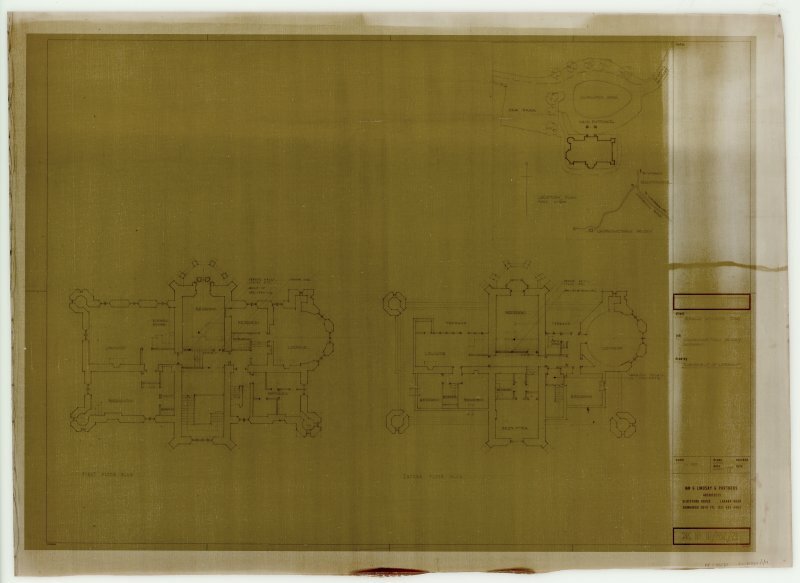 First and second floor plan, site plan. 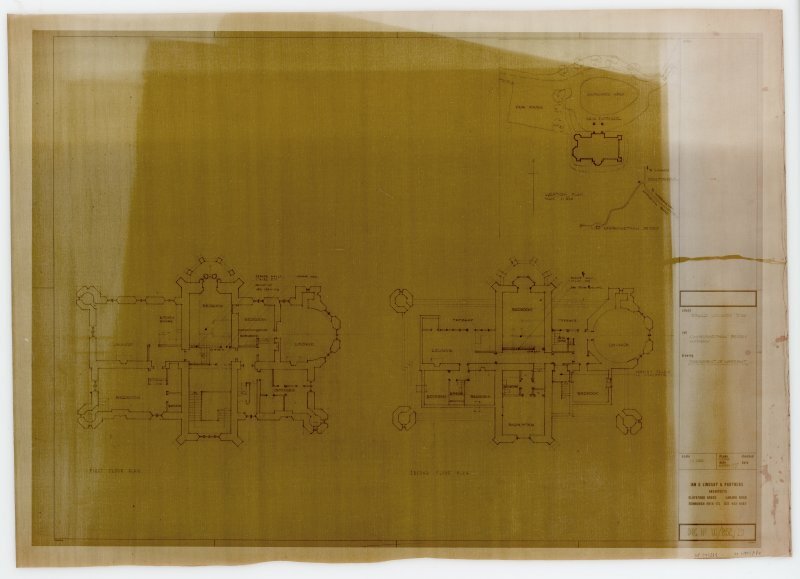 Alterations to Cambunethan Priory to form hotel, Section B-B. 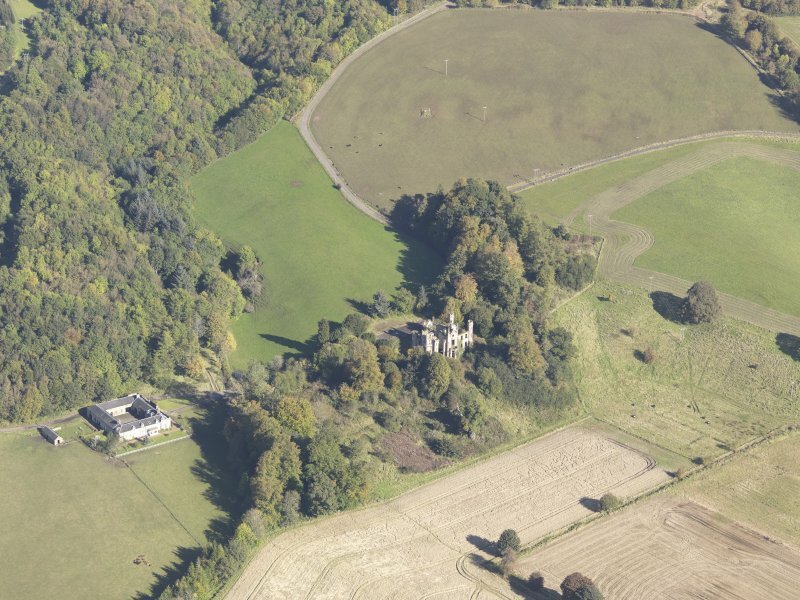 The house, farmsteading and walled garden are all visible on vertical air photograph (OS 65/129/123, flown 1965). 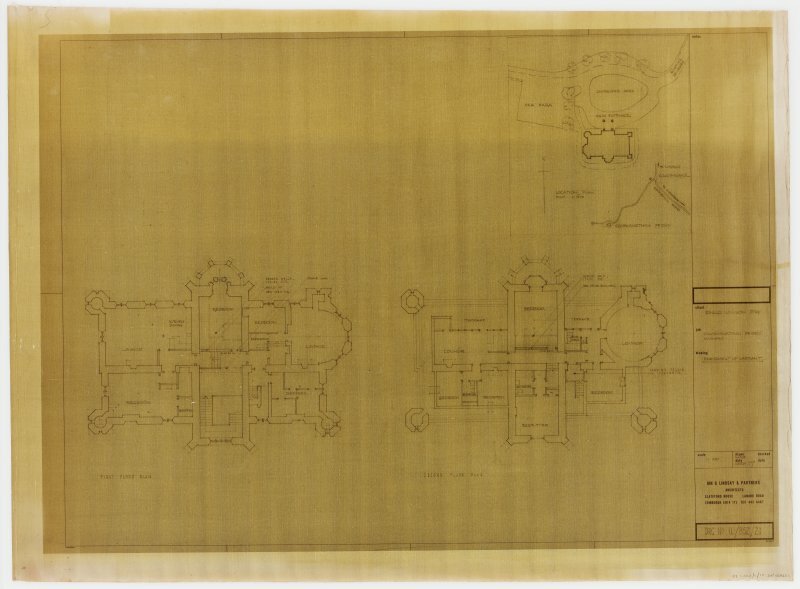 2-storey with sunk basement, 9-bay, symmetrical, rectangular-plan, Tudor revival priory-style mansion house. 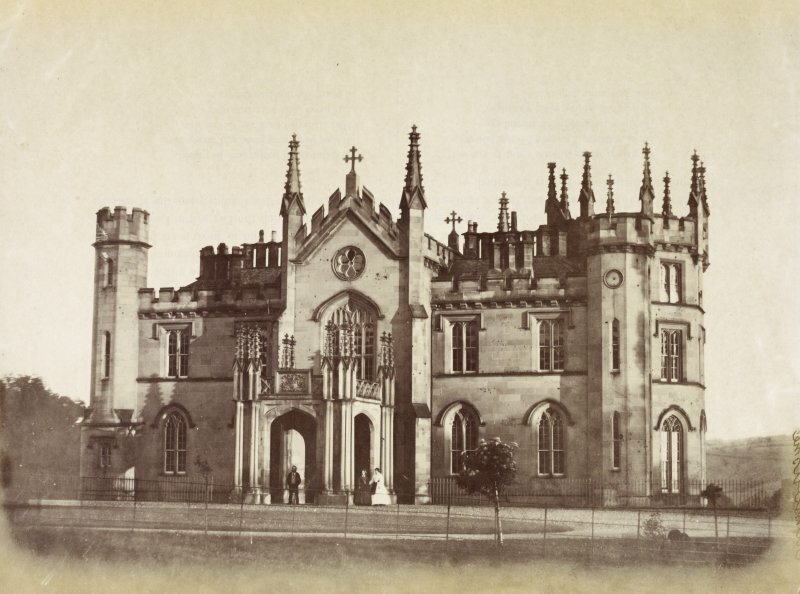 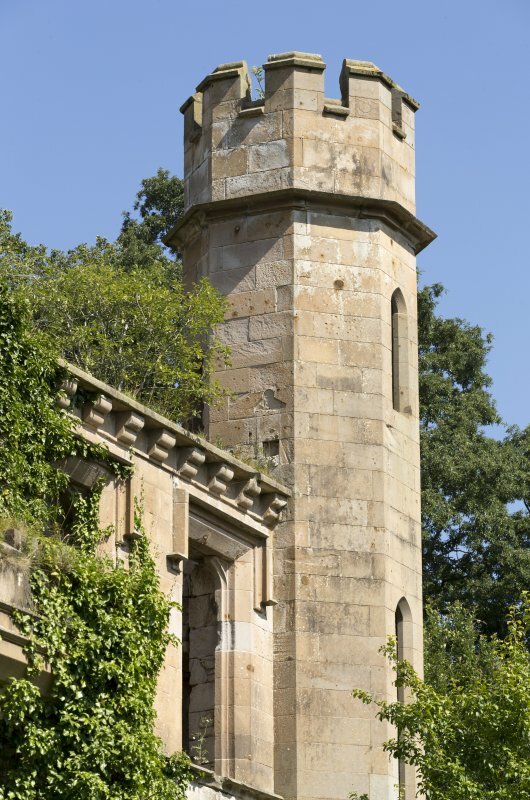 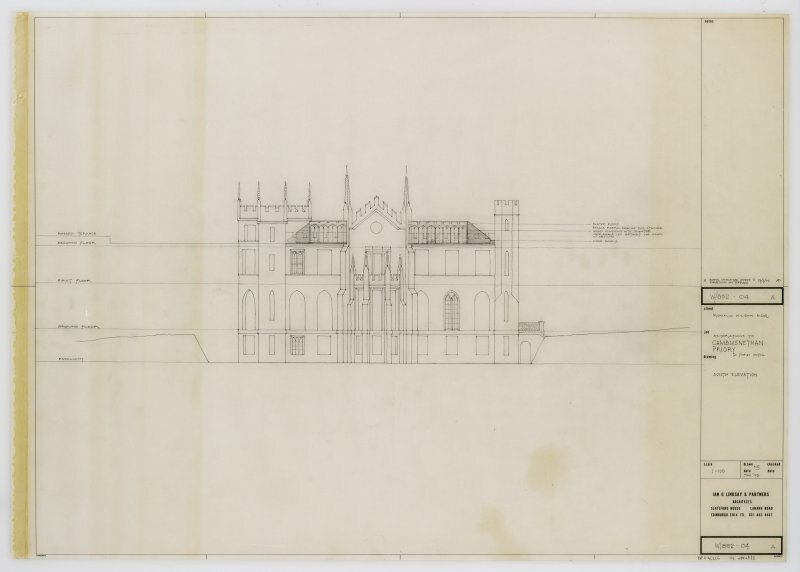 Buttressed crocketed pinnacles and gabled central block with porte cochere, flanking wings with octagonal corner towers. 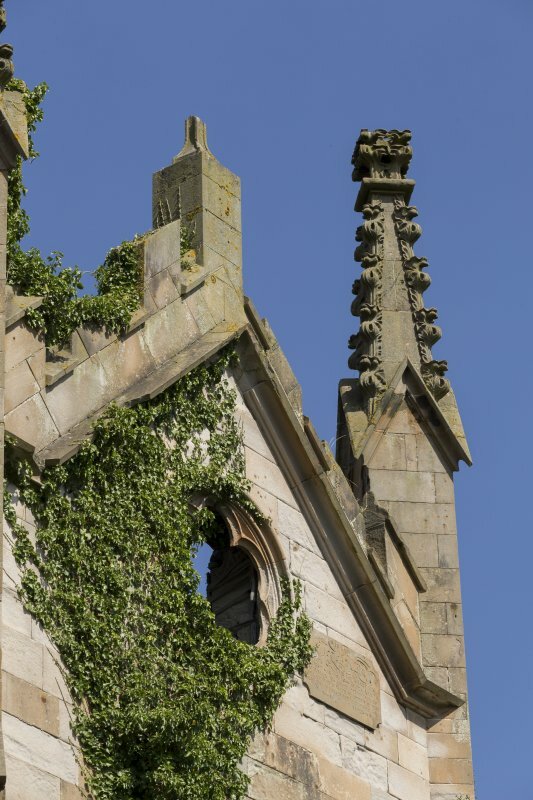 Yellow ashlar sandstone. 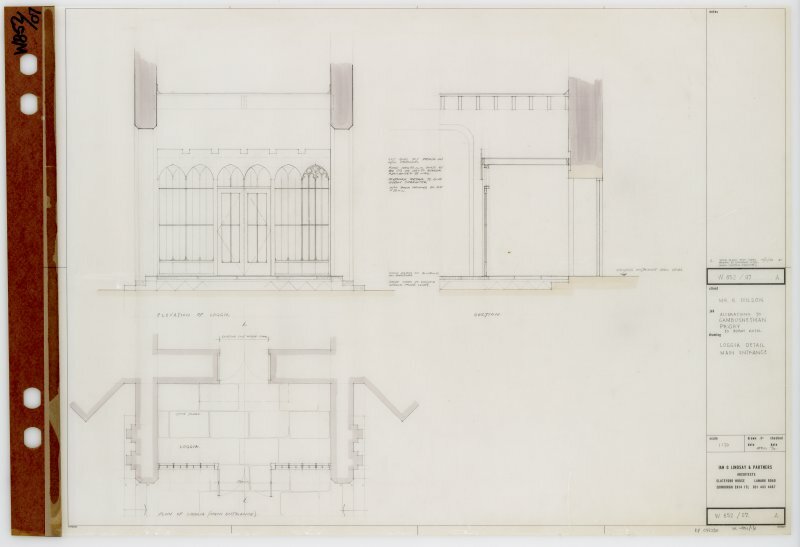 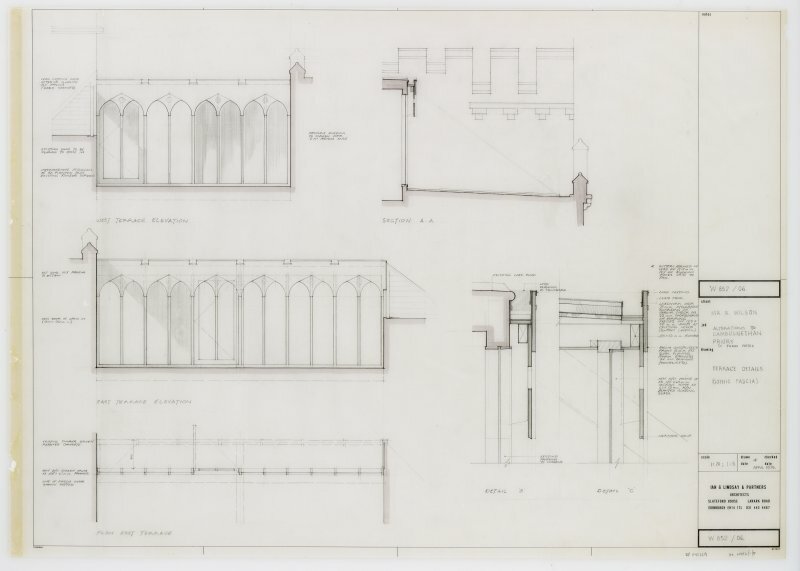 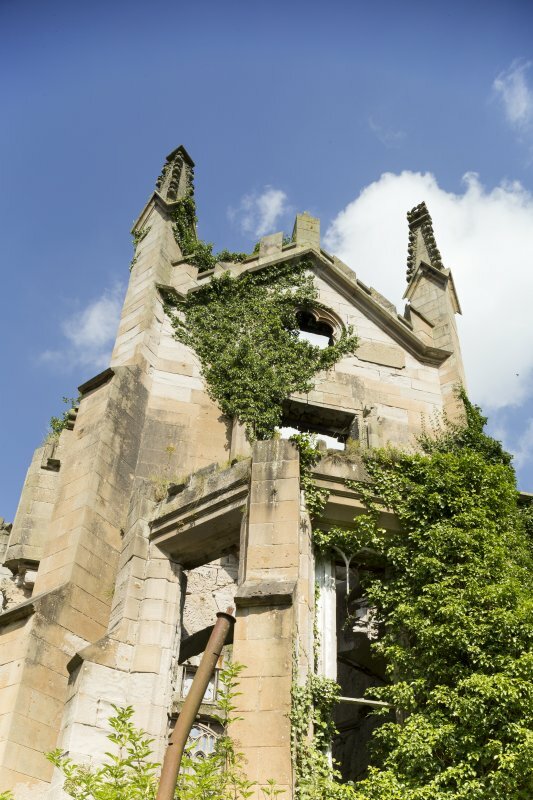 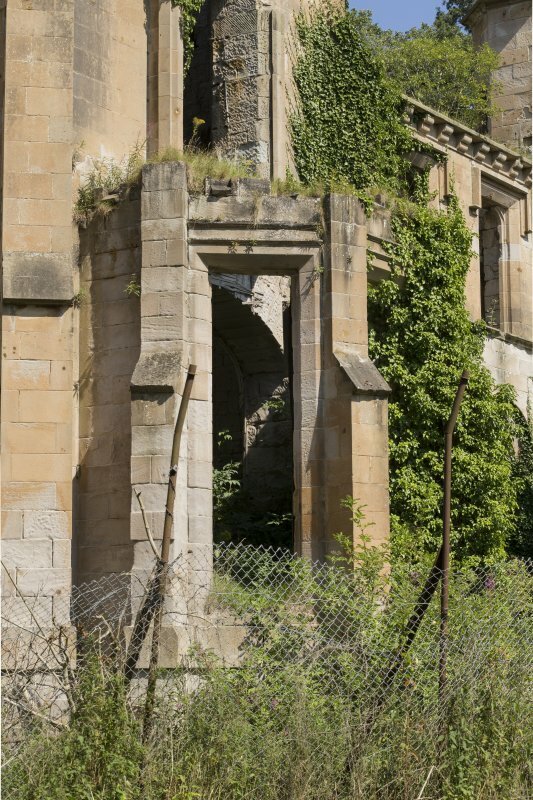 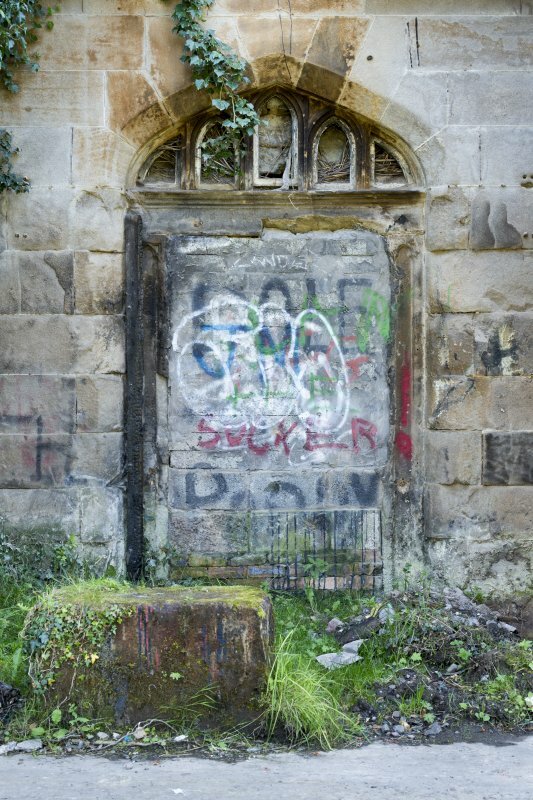 Base course, cill band to upper storey, corbelled cornice; stugged hoodmoulds to openings, pointed arch windows to ground floor, rectangular windows to upper floor. 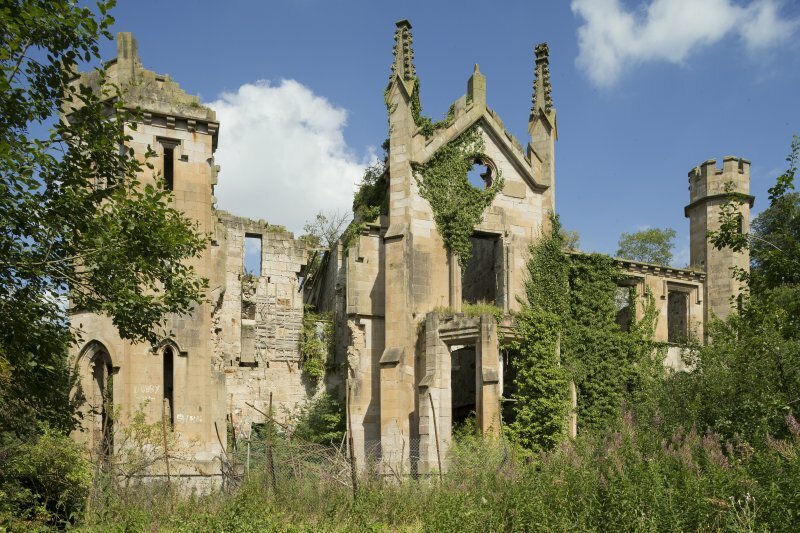 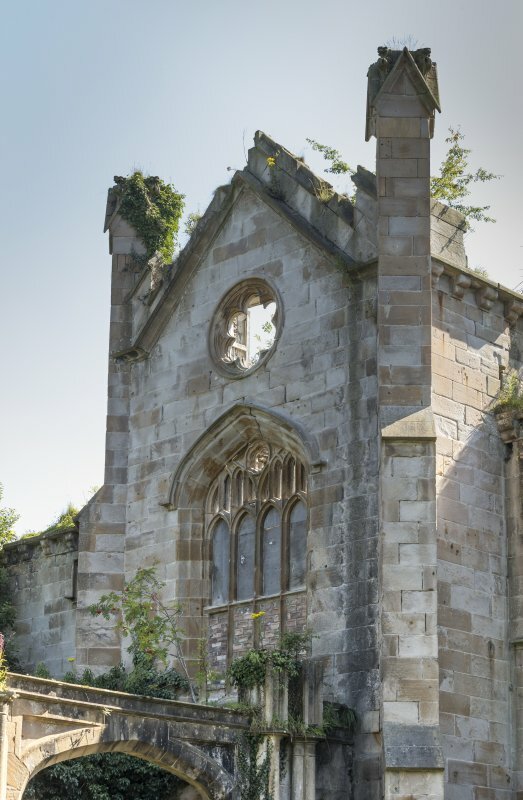 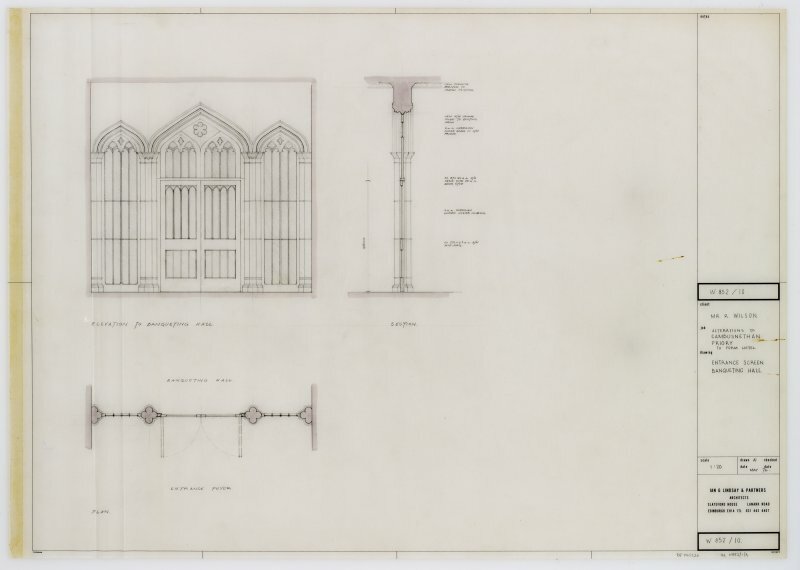 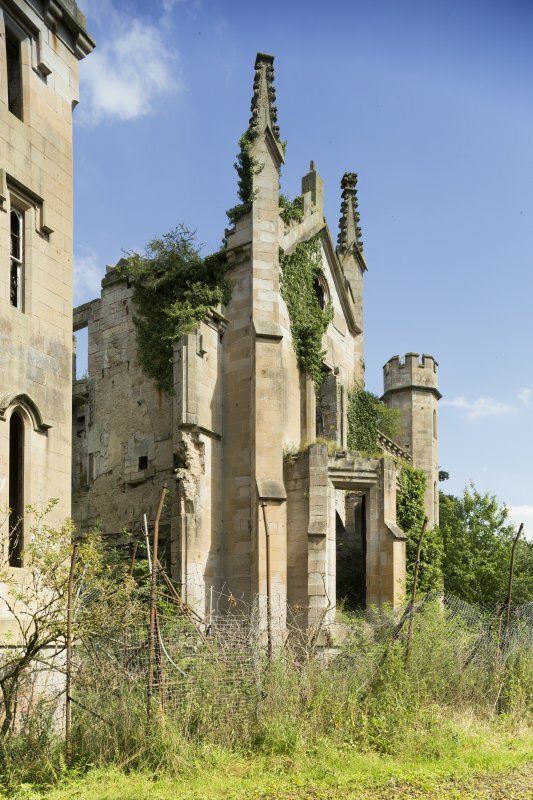 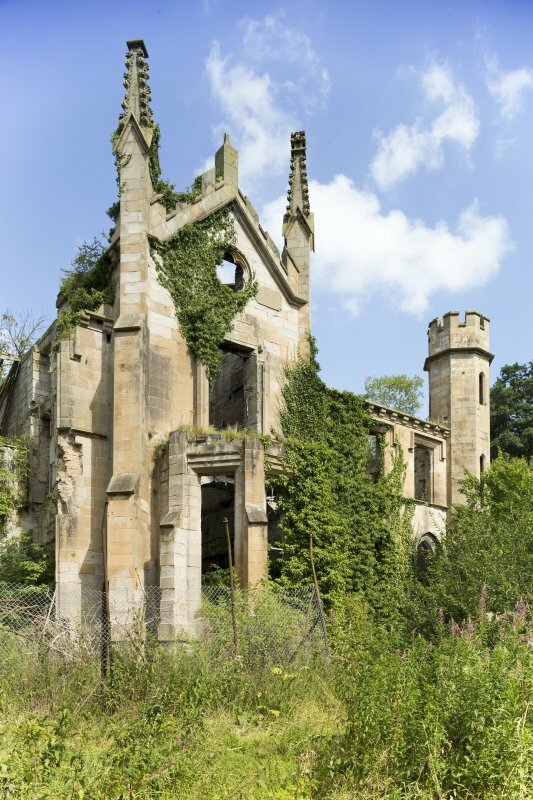 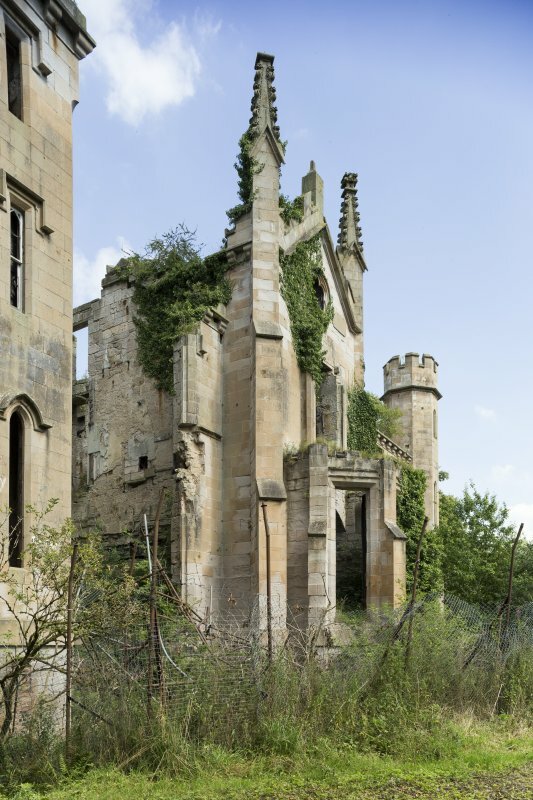 Photographic survey of Cambusnethan Priory, Lanarkshire, by the Scottish National Buildings Record/Ministry of Works in June 1964.